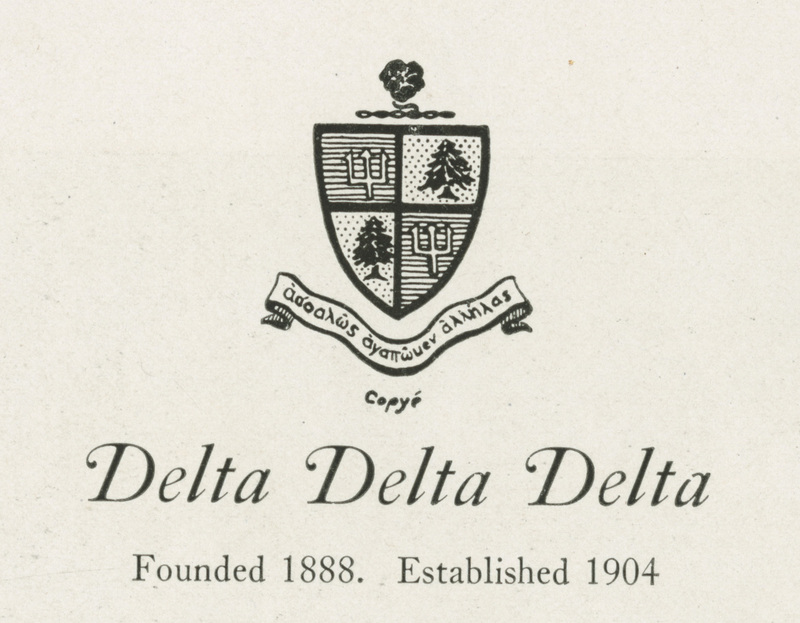 Delta Delta Delta was founded on Thanksgiving Eve in 1888 at Boston University in Boston, Massachusetts. Its colors are gold, silver, and blue, and its flower is a pansy. 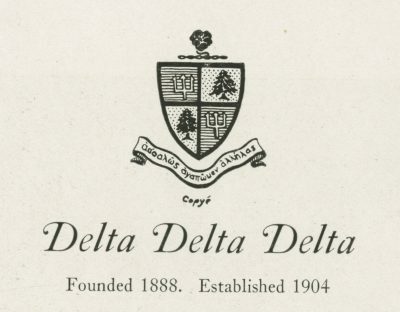 The Delta Delta Delta crest, shown at left, features a silver trident in the first and fourth quadrants of a quartered shield and a green pine tree in the second and third quadrants. The sorority’s motto, “Let us steadfastly love one another,” is inscribed in Greek on a scroll below the shield. The Psi chapter of Delta Delta Delta was founded at Penn in 1904.